Material: This long sweater features a tie not only at the neck but also just under the chest to gather the "skirt." 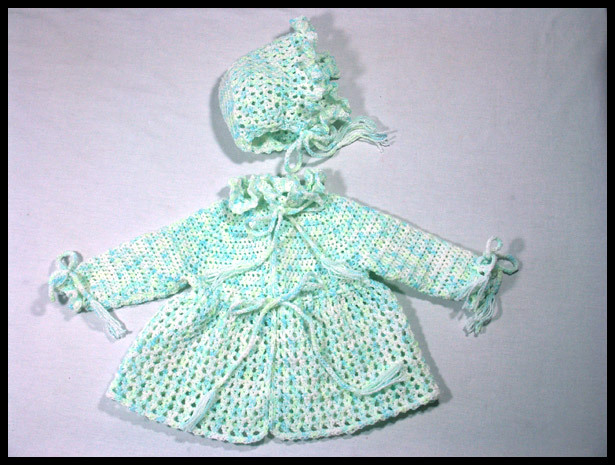 The collar and hat are both trimmed with a crocheted ruffle. It is made from sportweight yarn in Mint Print (green, blue, yellow, and white).